Hello everyone! I hope you had a lovely Christmas and that you were able to spend some quality family time whilst opening the presents you had asked Santa for. That was then and this is now though, now being Friday of course. And that means there is a new episode of The Grand Tour to watch, and as I always, I’ve written my thoughts about it. As is normally the case though, there are likely to be spoilers, so you’ve been warned! 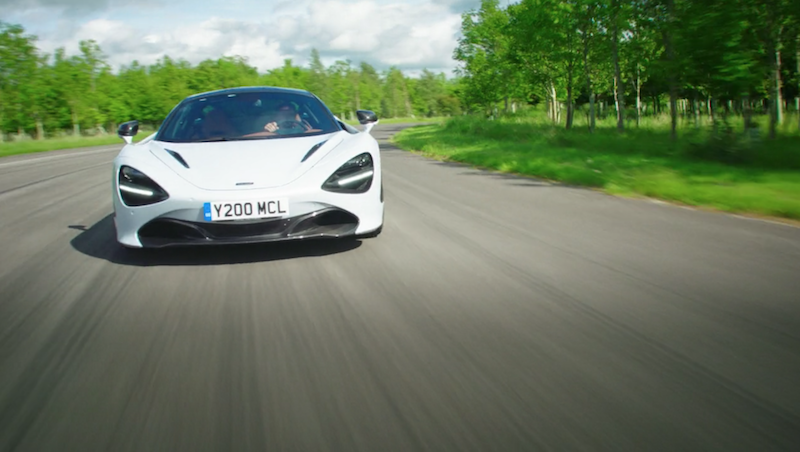 The first film of the episode is a big one, it’s a test of the brand new McLaren 720S – a car I was hoping to drive, but wasn’t able to sadly. At this point, you are probably expecting Clarkson to clamber in and spout outrageous analogies. It’s The Hamster that gets to have a spin in the British brand’s new supercar though and I have to say, it was a stonking good test. 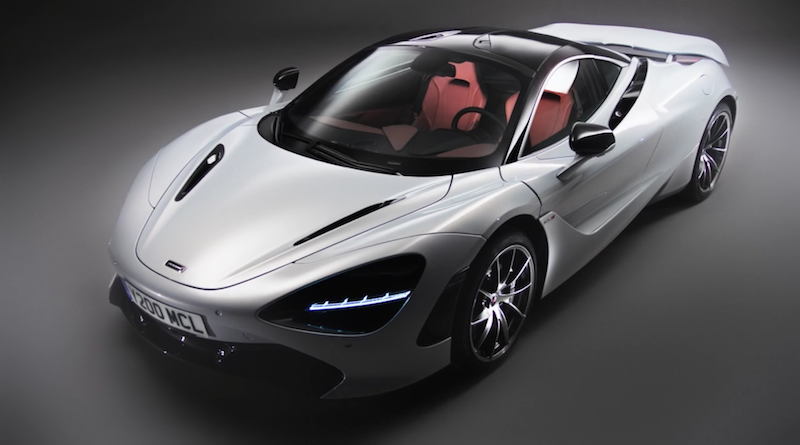 I don’t care what anyone says, I think the 720S look great. For me, it had it all. The glamour shots, the dynamic shots, the tyre-smoking shots, but more importantly, the geeky stuff. I like to keep as informed as possible about cars, but it’s always fantastic to be able to learn new things from shows such as The Grand Tour. For example, I didn’t know that the engine bay of the 720S lit up when the car was unlocked. This will probably turn out to be very common knowledge knowing my luck, but I honestly didn’t know that. This is one thing that is lacking sometimes on The Grand Tour, those little snippets of information that can really add substance to a car review. I was also quite pleased to hear Hammond call the car beautiful as I know there are many that are not sure on the looks, but like Hammond, I think it looks great. Better still, he didn’t crash the car! However, he did cause some damage to it, but the cause of that gets revealed later in the show. After Hammond thrashed the 720S around the Eboladrome, it was time for the car to be given over to Abbie Eaton, and if I’m honest, I’ve got a bone to pick here. 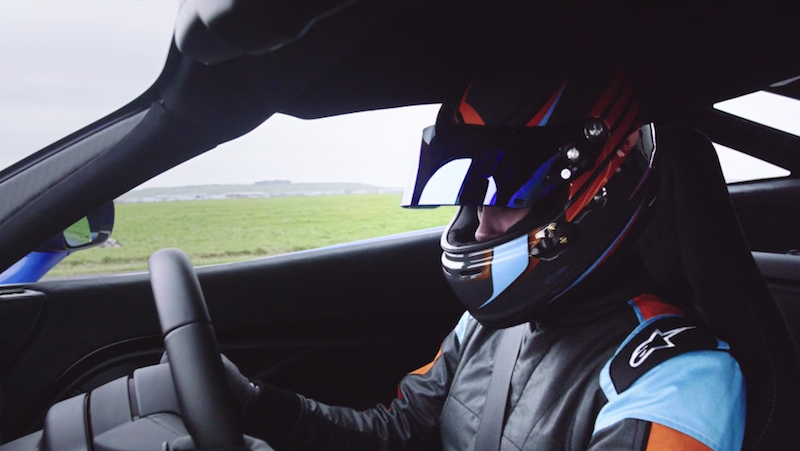 In my episode 2 review, I spoke about the GT production team being rather shrewd about the way they handled their new driver choice, as it was like having another Stig, but at the same time different. The driver that has a name but at the same time is not named – very odd. Well this analysis was thrown out the window when I saw that ‘her’ identity had not been kept secret, because her name is clearly displayed in the credits. This then, begs a question – why do the GT boys never call her by name? Why was she not given a proper introduction? This sort of thing irks me more than it probably should, but I just find it baffling why the production team has decided to handle her role in such a manner. I’m not going cover too much of Conversation Street as not a great deal happened; the three of them hosted a parody awards ceremony. If I’m going to be honest, the gags fell a little flat and the whole section didn’t really add any value to the rest of the show if you ask me. 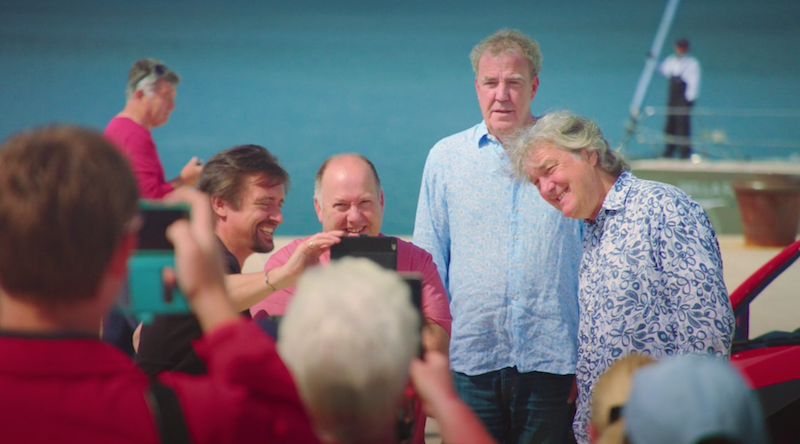 One thing that The Grand Tour has come under fire for, is that certain aspects are too scripted. 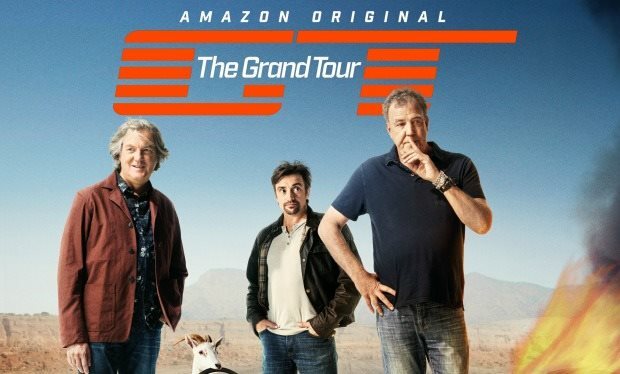 In fact, if you read some of my other reviews of The Grand Tour, you’ll see that I have made the same criticism. To address this, Clarkson, Hammond and May went to Croatia to make a film with no script to show what it would be like if everything is done off the cuff. I found this idea intriguing, and I was looking to see what would happen. Would it actually work, or would it be a big, metaphorical car crash? 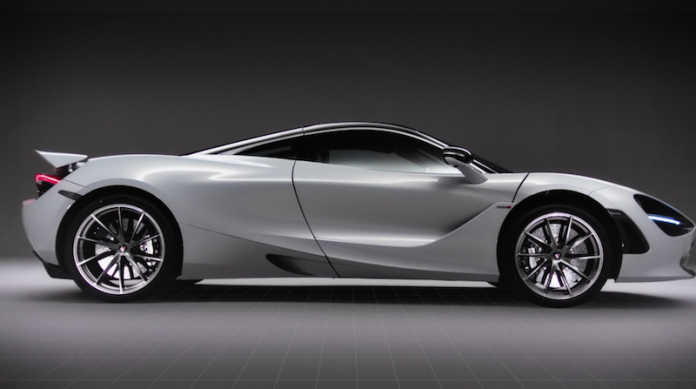 Well, I’ll get on to that in a bit – for the time being, let’s focus on the cars. Clarkson is the first to arrive and his weapon of choice is the simply savage Audi TT RS, a car I was lucky enough to drive earlier this year. Hammond was the next to arrive in something rather different – an Aerial Nomad. So what did James turn up in? A hot hatch? Erm, not quite. When he decided to turn up in was a Lada Niva. No joke. This could well have happened, but it seemed too unlikely for me. 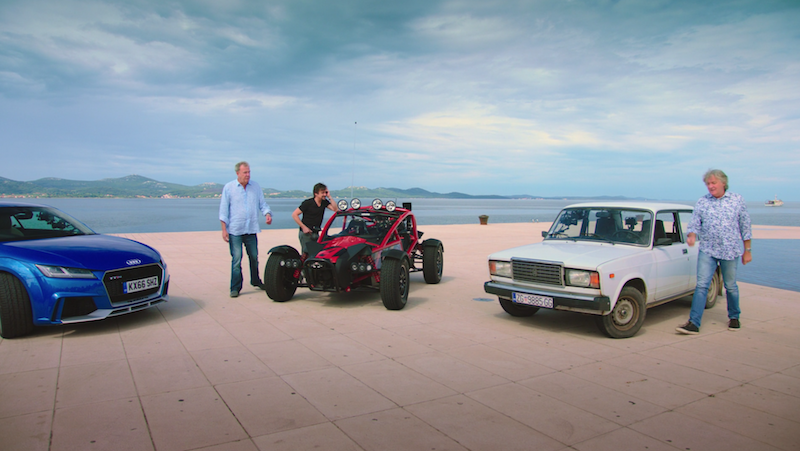 Clarkson and Hammond find a sweeping road only to find it ends rather abruptly, whilst May heads off to turn his Lada in to a fire engine, as you do… As he gets on with that, Clarkson and Hammond try to scout a place where they can perform a drag race. This becomes rather difficult as they have to tackle the local paparazzi, and the pair of them are also turned away from the local airport as funnily enough, it’s too short notice to stop all the flights so they can have a drag race. 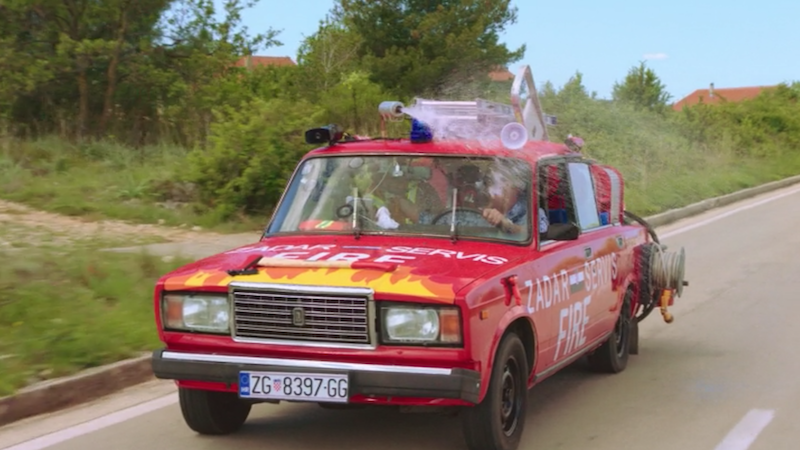 That leaves May in his ridiculous Lada as he scours the streets of Croatia for a fire to put out. As this is unscripted, this means he is unable to ‘stage’ a fire and therefore he has to find a real one to put out. Thankfully for the locals, May has no joy so he has to put his best acting skills as he ‘discovers’ a small bin fire… Clarkson and Hammond on the other hand finally find somewhere to put on a drag race, and after a bit of faffing – Hammond decided to break the clutch on the Nomad – the race was on. A was a closely fought clash, but I won’t reveal who the winner is here. Last week’s Celebrity Face-Off was a tad lacklustre in my opinion but this week helped to restore the balance. This week’s connection was classical singers that had a link to the motor industry. 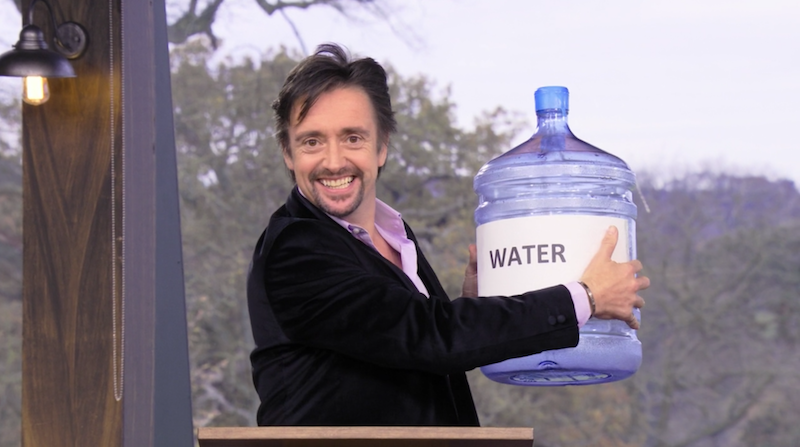 Yes, it seems factious, but it did bring up a decent in the combination of Michael Ball and Alfie Boe. These two have pre-existing rapport as they perform together of course and this certainly made for a good interview. Definitely one of the better interviews so far on GT. The fact that they both had links to the motoring trade was a bonus. Boe worked for TVR believe it or not, and Ball’s father use to work British Leyland. Well, when I say work… Just joking of course. The pair then take to the track and put in competitive times, with the two of them getting lap times within 1.1 seconds of each other. I start this paragraph quite a few hours later than the rest of this review. This is because I’m still trying to digest this episode and I can’t figure out my thoughts on it. 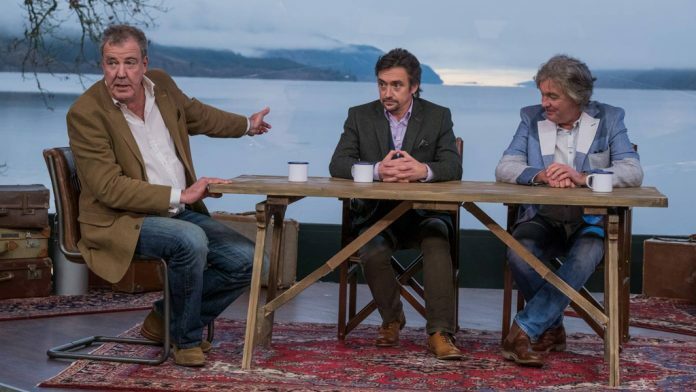 I’ll be honest, I thought the whole unscripted thing was a waste of time, and I feel like Clarkson, Hammond and May did everything they could to make the point that without a script it doesn’t work. I agree, some of script is needed, but there are parts of the film where, dare I say it, it feels scripted. In the second part of the film, May turns up someone’s random barbecue and puts it out, and I’m sure he wouldn’t have the nerve to do that for real. Clarkson on the other hand though… Not content with that, May decides to start a fire by the side of the road to help demonstrate to Clarkson and Hammond just how brilliant his Lada fire engine is. The pair quite rightly say that a bush fire wouldn’t normally be near a road, so they seem him farther away to start a fire. Like you do. Problem with your barbecue? May will help with that. Once May has done this, it’s clear to see he is well out of his depth as he runs out of water quicker than you can cay ‘Captain Slow’. 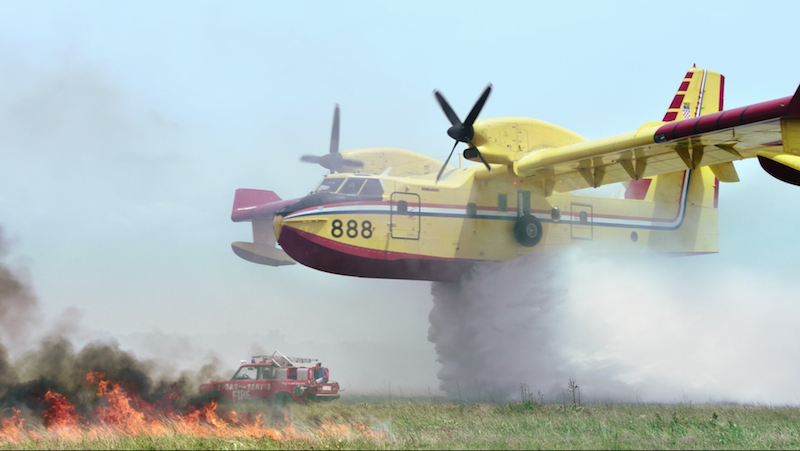 Because of his woeful attempt to put the fire out, the professionals have to be called in, and before you know it, a plane flies overhead to drop 5 tonnes of water on to the blaze, destroying the Lada in the process, a two for the price of one if you ask me. As well as the Lada fail, the second part of the film also contains a dirt race between Clarkson and Hammond, which was more enjoyable to watch, but it was still lacking something for me. 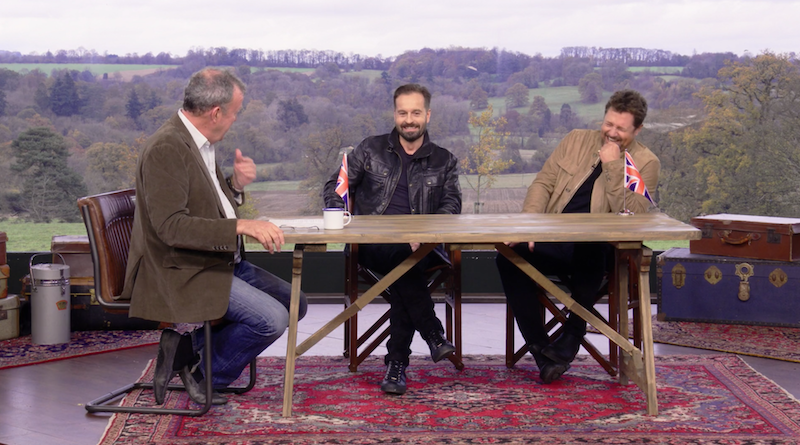 The jokes with the ‘finish line’ – you’ll know what I mean after you’ve watched – were humorous enough but they produced no more than a chortle for me. The reason why I feel I am missing something is because this episode seems to have got a good reception based on comments I’ve seen online, but for me it didn’t hit the mark. I don’t think it was totally unscripted, which to me defeats the point and it’s a film that gave no value, but I suppose that’s the point Clarkson, Hammond and May are trying to get across. It may seem I being a bit of a scrooge over this episode but when I heard it was going to be unscripted I was just expecting something a little different. There are some areas of this episode I liked though, the 720S review for example. The Boe and Ball interview also made for good viewing as well, but I’m afraid the unscripted film wasn’t for me.